If you want to understand the art of mosaic from an artistic point of view and also in the strictest sense of the word, you must go back to basics. The word "mosaic" is derived from the Greek word "Mouseion", which means "the seat of muses" and in the beginning the mosaic decorated the areas and temples reserved for divinities. Mesopotamia introduced the first mosaic claddins with merged small pieces of stone and Egypt used it since the first dynasties. However, the current mosaic with coloured or monochrome stones, was introduced in Greece in the 4th century BC. 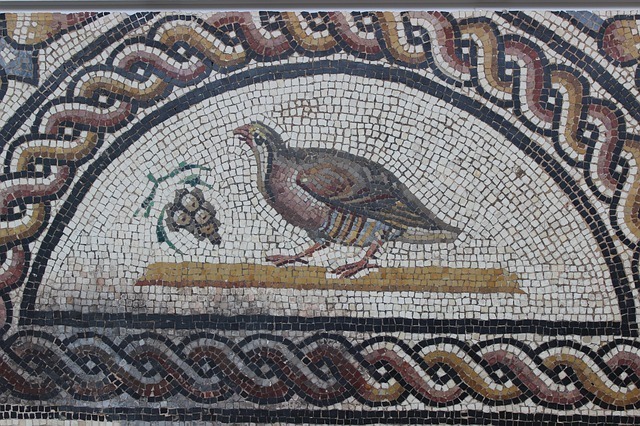 The Romans are responsible for developing the art of mosaic. Although initially Roman mosaics were only black and white, the technique improved in time, by switching to a wide range of shades. Whether we talk about pebble, marble, semi-precious or enamel stones, these were all used for cladding Roman Baths, columns and villa’s ceilings. Then, throughout Byzantine era, the mosaic is very popular, especially for decorating churches. The Arab world also used mosaic for their palaces, with high quality claddings and euphory. Although used extensively in certain areas of the world, it is Gaudi with his Art-Nouveau style that made mosaic great again. Lately, decoration projects with natural stone mosaics are more and more popular. You have mosaics of glass, ceramic, natural stone (marble and travertine for example), but also semi precious stones (onyx). 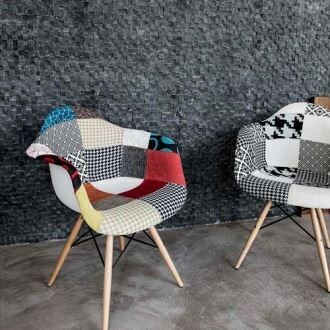 Although used until recently mainly in bathrooms and hallways, the latest interior design trends promotes mosaic as the perfect material for bedrooms or living rooms. 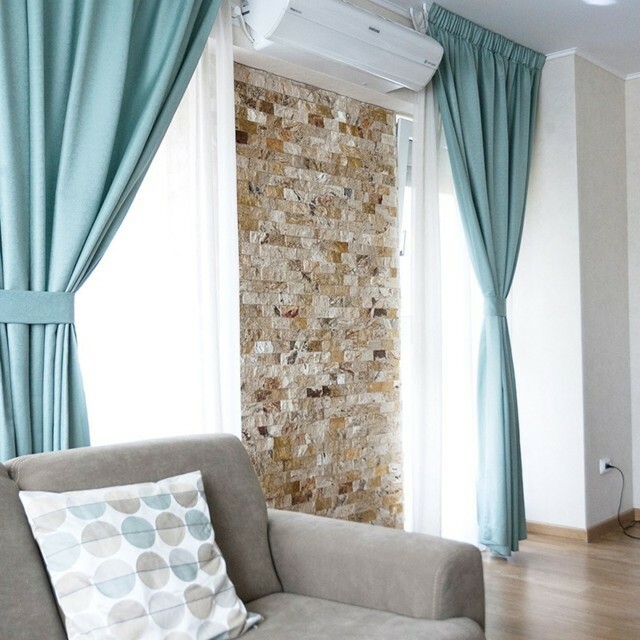 You can obtain unique shapes by combining mosaic tiles, as a special decorative element of any room. Mosaic claddings are recommended for modern, minimalist design houses, but also classical design ones with solid wood furniture. Made of natural stone, the modern mosaics are easy to install and deliver a beautiful contrast. Red Valencia Travertine Splitface Mosaic has some very interesting shades – unlike the classic or latte travertine, with reddish shades to allow dynamic touches in your decoration project. For an easier installation, mosaic has small stone pieces pre-assemebled on a meshed back-sheet. 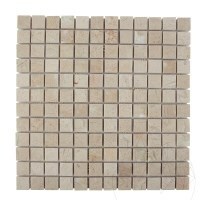 Click here to see splitface mosaic product range. 3D Tetris Thassos marble polished mosaic is one of the most extravagant mosaics from PIATRAONLINE product range, thanks to the outstanding elegance of Thassos marble and the way it transforms your decoration project into something amazing. Another interesting idea is the natural stone mosaic from onyx – a semi-precious, honey-colored stone, in trends lately: besides its natural look, it is also used in alternative therapies, thanks to a special energy.